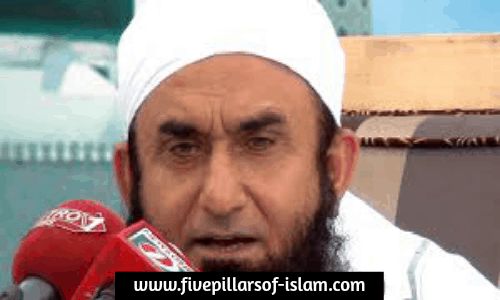 Maulana Tariq Jameel – Maulana Tariq Jameel is an Islamic scholar, preacher, and public speaker. 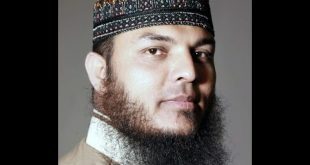 He runs his own Madrasa in Faisalabad, Pakistan named Jamia Al-Hasnain. He is listed as the most popular speaker in the 2013-14 edition of the book The Muslim 500. He was born on 1 January 1953 at Tulamba near Mian Channu in Khanewal, Punjab. One of his brothers is a heart surgeon and one is a zameendaar. He is a son of a famous Fudel Lord. Both of his parents have died. His parents wished him to become a doctor. After matriculation, he was admitted in the college at Lahore and lived in a hostel with a number of friends. After completing his Higher Secondary School Education in Pre-Medical from Government College, Lahore. He took admission in King Edward Medical College in Lahore. He intended to do his M.B.B.S., but he soon switched to Islamic Education, that his focus shifted towards Islam. Since his Childhood, he lived a Relatively Modest Life and Religion was not a major part of his life and his family in particular. It wasn’t until he pursued his M.B.B.S. in Lahore. There was one person lived in his hostel. He was a member of Tablighi Jama’at who approached Moulana Tariq Jameel. He said that Tariq Jameel had kicked him (Tablighi) out of his room, on a number of times. Beside it, there was a disabled person in the hostel who performed every salah in Masjid. Tariq Jameel inspired by that disabled person and thought about him how he performed every namaz even he lived on the fourth floor and came to namaz on time. The thought had done its work and that inspiration changed his life completely. At first, he went for three days jama’at. After his four-month, he decided to leave the study of medical and to become an Alim. His parents became angry and called him a stupid and idiot to leave the studies and become a Moulvi. His father ordered him to get out of the house and told him never to come back again. He left his house and admitted in Raiwand Madrasa. He then went on to gain Islamic Education from Jamia Arabia, Raiwind (Near Lahore), Pakistan where he studied Quran, Hadith, Sharia, Tasawwuf, Logic, and Fiq’ha. Moulana Jamshed Ahmed was his first teacher. In his perfect guidance, he spent almost 10 years in the Madrasah and became a complete Alim. To quench his thirst for knowledge, he mastered the ability to understand and fluently speak Arabic and traveled extensively to numerous Islamic countries. Most of his speeches are delivered in the programs of Tablighi Jamaat. 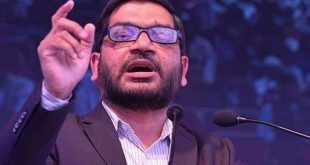 He regularly delivers lectures and speeches encouraging people to follow Islamic values and principles and put them into practice in their everyday life. Maulana Tariq Jameel has traveled extensively for this cause and delivered thousands of lectures all over the world. 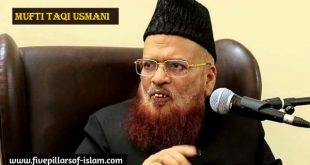 His charming appearance combined with a strong voice and a fine ability to deliver religious lectures soon catapulted him to fame and within a few years. He became one of the most profound and inspiring preachers of Islam in the Urdu and Arabic language. This is why he is listed as the most popular speaker in the 2013-14 edition of the book “The Muslim 500”. He is the person behind the change of Thousands of hundreds of people from film industry, cricket industry, politics and many others fields like Saeed Anwar, Junaid Jamshaid, Yousuf Youhana, and many others. This is why he is respected by all major Sunni scholars and even Shia scholars too. An article doesn’t have the capacity to describe the life of Maulana Tariq Jameel. But here we close the article. We’ll upload a collection of his best Speeches (Bayanat) soon. Insha Allah.